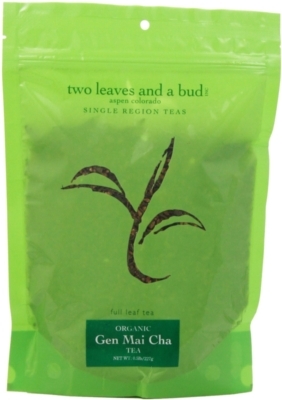 A cup of Organic Gen Mai Cha tea will open-up a new world of tea-flavor for you! This tea blend is also known as Brown Rice Green Tea, which explains its extremely satisfying nutty and toasted aroma. By using organic and single region grown tea leaves, the unique flavor is guaranteed in each cup you drink! This resealable sleeve contains 0.5lb/227g of full loose tea leaves, which stay safely preserved between each serving you choose to prepare. Enjoy during any time of day, and rediscover its satisfying taste time and time again!